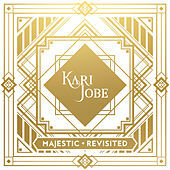 Kari Jobe may be a songwriter and recording artist, but first she's a worship leader. So it's understandable that in a studio, with no congregation in sight, something gets lost in translation. This time around, she made sure that didn't happen by recording Majestic live at Dallas' Majestic Theater. Despite the venue, there's no mistaking that these are songs for the church. "Hands to the Heavens" is a declarative worship anthem, and you won't want to miss the beautiful "Breathe on Us." Co-writers on the project include A-listers Chris Tomlin, Matt Redman, Reuben Morgan and Ed Cash.